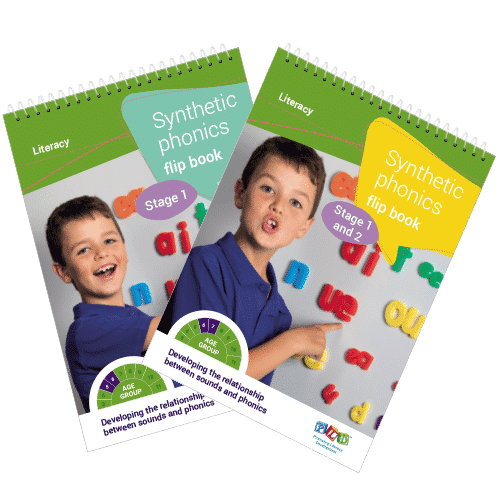 These coloured scripted flip books are designed to provide important synthetic phonic concepts in a practical format which will assist when teaching the whole class or small groups of students. Synthetic phonics is a way of teaching children to read and spell. It has been identified as the most successful approach of establishing early literacy skills. The ‘synthetic’ component relates to the ‘synthesising’ or blending of phonemes (or individual speech sounds) and the ‘phonic’ component relates to written symbols (graphemes) being linked to the individual speech sounds (phonemes). When learning to read a child links letters to speech sounds and then blends them together to form words. When learning to spell a child separates or segments a word into the individual speech sounds within the word while linking the sounds to letters. Developing the relationship between letters & sounds.